As the title says, these are some quick thoughts on the final PPV stop on the Road to Wrestlemania. I've never been a big fan of there being an event between The Royal Rumble and Wrestlemania, but I didn't think Fastllane was horrible by any means. I do worry about the number of rematches next month though. Without a world heavyweight title match, this show held up and the undercard champs and challengers shined. The only thing about this match that surprised me is that Dolph Ziggler took the pin. I thought it would be Rowan. I also thought Rollins would get the victory for his team and not Kane. Randy Orton is back, and while I'm not a huge fan I would rather see Rollins vs. Orton at Mania than Jon Stewart. I'd hoped they would save this match for Wrestlemania 31. I'm going to assume this story continues with a grudge match. I've gone back and forth on the Stardust character, but after last night, I'm on board. The promo he cut on Dusty Rhodes and the beating he delivered to big brother convinced me. But I've always been a big fan of Goldust. I'm not going to lie, I'd hoped that Paige would win this battle and go into a feud with Charlotte (I know she's gotta be called up soon, right?) But I'll admit Nikki has improved her in ring game. I love Dean Ambrose. 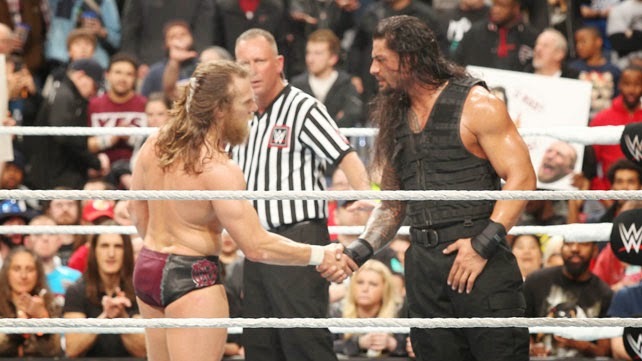 I am really hoping this story continues on to Wrestlemania and the two don't wrestle again until then. Since Ambrose stole the belt, perhaps a ladder match is in store for these two. It'll give the Intercontinental title some importance. This is an interesting one in my opinion. I'm not sure how WWE will handle 'Taker now that The Streak is over. I'm assuming this is going to happen at Wrestlemania. A win for Wyatt would be quite a feather in his cap. I am excited about this matchup. Rusev is someone who has really impressed me as well. 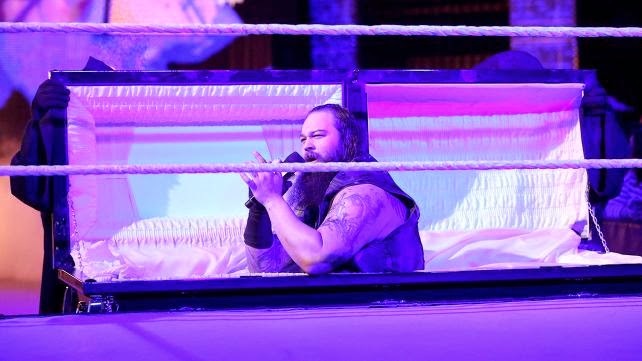 I've enjoyed his character development and the push WWE has given him. I believe he shined in this high profile opportunity. He cheated to win, something that was well within his character as a heel. I also believe we're headed for another rematch at Wrestlemania (maybe a submission match) and Cena as the victor.